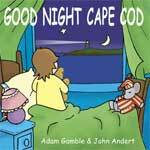 Good Night Massachusetts By Adam Gamble and Mark Jasper. Illustrated by Ruth Palmer. 20 pages, 6 x 6 board book for ages 0-3. 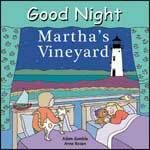 The scenery and culture of Massachusetts is celebrated in this board book designed to soothe children before bedtime while instilling an early appreciation for natural wonders of the state. 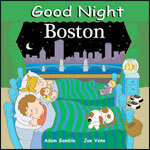 The book stars a multicultural group of people visiting the attractions of Massachusetts. The rhythmic language guides children through the passage of both a single day and the four seasons while saluting the iconic aspects of the state. 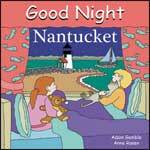 From the scenic Berkshire Mountains to the Gloucester fishing port, this book captures the essence of the Bay State. Kids can travel down the coast to historic Salem, Boston Harbor, and the Cape Cod National Seashore, and over to Old Sturbridge Village. The book highlights sights including the Boston Lighthouse and Boston Common, Fenway Park, Harvard University, Haymarket Square, Gillette Stadium, the Mayflower II tall ship, and the Plymouth Plantation. Adam Gamble is a writer, a photographer, and a publisher. He is the author of many books in the Good Night Our World series, In the Footsteps of Thoreau, and A Public Betrayed. He lives in Dennis, Massachusetts. Mark Jasper is the author of many books in the Good Night Our World series, The Cape Cod Christmas Cookbook, Haunted Cape Cod & the Islands, and Haunted Inns of New England. He lives in Sandwich, Massachusetts.